1. Use data-name attribute to specify the user name you want to display in the text avatar. 3. Call the plugin to generate text avatars from elements which have the class that is assigned to "textavatar". 4. 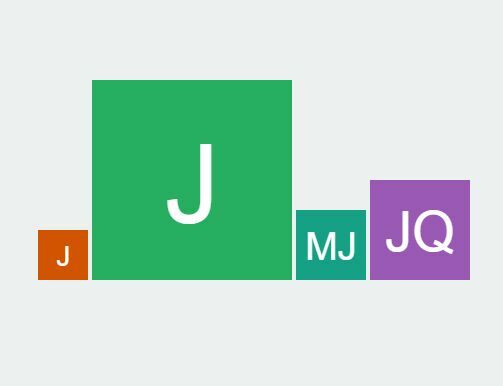 The required CSS to style the text avatars. 5. The option to set the size of the text avatars. 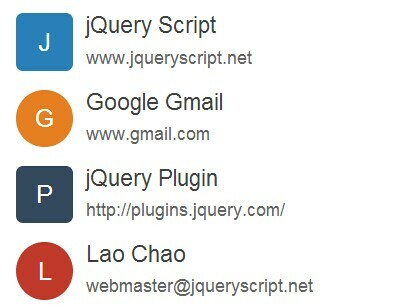 This awesome jQuery plugin is developed by Knovour. For more Advanced Usages, please check the demo page or visit the official website.